Then Richard sent me his entire rationale for holding his two NYC Shows (November 19, 20, 21), and I thought I’d share it with you. When I began working on my project, the American Craft Show NYC, the plan was to bring a first class craft event to the Jacob Javits Center in NYC. With over 30 years experience as a craftsman/gallery owner, and then show promoter, I lived in a world surrounded by the works of America’s finest craftsman, and I thought it was high time that New York City had a proper introduction. My life in the “Crafts Lane” has been all about great glass, wood, metal, fiber, ceramics, jewelry, paper, and furniture. My life in the Fine Art Galleries and Artists has been more from the consumer side of the aisle. My An American Craftsman Galleries (now 5) was born in 1983 on the corner of Bleecker and Grove Streets in Greenwich Village. Today, An American Craftsman has become one of New York City’s last surviving galleries specializing almost exclusively in crafts – with locations at Rockefeller Center, the Sheraton Mahattan Hotel, and South Street Seaport; and two other locations in Savannah, GA and Stockbridge, MA. With five galleries under my belt, and my Boxology art, why would I even think about breaking into the already abundant world of Art Fairs in NY – Art Fairs offering great opportunities for art galleries, from around the world, to introduce their artists to a target audience of New York art collectors. New York Art Fairs – lol! The New York art fair scene is a world unto itself, and until now, there has never been a place for “crafts artists” in any of these shows. Nor has there ever been a serious and affordable venue for independent fine artists to have a major showing in the Big Apple: painters, photographers, sculptors and other other artists creating non-functional work. There are several factors operating here that make my Art/Craft Show project very interesting. The first is that, historically, art and craft have been two entirely different entities, with crafts having no place at the table of traditional Art Fairs. The other is that the high costs of a booth, in of all of the major Art Fairs, has always been prohibitive for an independent artist – especially an emerging artist, who ironically, needs the exposure the most. Among the most notable of the well established Art Fairs are Scope, Pulse, Art Basil, the Affordable Art Fair and a host of others. To acquire a space at any of these shows costs upwards of $5,000, and at the Art Expo Show an artist may purchase a small 5’x 10′ booth for $3800! 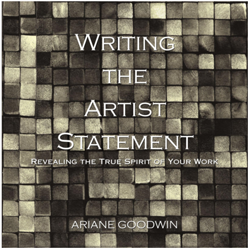 How does an artist navigate his or her way to recognition at such a cost? 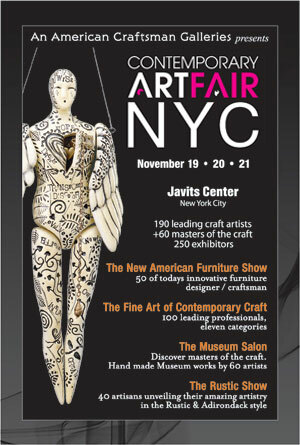 Enter The American Craft Show NYC, sponsored by An American Craftsman Galleries. And introducing the sister show, The Contemporary Art Fair NYC. Two shows that will co-locate in Hall 1A, at the Javits Center in NYC this November 19, 20, & 21. With complete Art Fair hardwall packages starting at just $635, and a typical full booth package for the craft show just over $1000 (this is nearly $3,000 less than a solo booth at Art Expo), everyone has a chance to participate and not go broke in the process. What is happening here is the evolution of a new type of art event, where artists who have great work and limited funds can set up their own little gallery at a world class exhibition facility and meet thousands of buyers, collectors, gallery owners, interior designers, etc. For the first time the “little guy,” aka independent visual artists, can have a “big time” New York City opportunity. While the makers of “functional art,” can sell their work almost any where and to any one, the independent fine artist has a more difficult road finding buyers for their work. Buyers and Collectors. Collectors and Buyers. I have invited thousands of my loyal buyers and collectors from my An American Craftsman Galleries to attend the November Art Fair show at no charge. Gallery owners, interior designers, and art consultants are receiving complimentary passes from all five of my galleries. I’ve initiated an extensive, city-wide, New York advertising campaign to be launched in early November, right before the show. General admission will be $16.00, with thousands of 1/2 off promo cards distributed around the city. Is There A Place in NYC With Your Name On It? And so, this fall, I’ll introduce the fusion of two events where the Fine Art Fair NYC and the NYC Craft Show merge into One Outstanding ART Event. People from all walks of life will find great art of all kinds, seeds will be planted, and the creativity of all American Artists can be applauded without prejudice. Note from Ariane: I am proud to be an affiliate for the The Contemporary Art Fair NYC, for, as you can see, Richard has gone out of his way to stand up for independent artists and crafts makers. And if you want to hear Richard’s ideas for “How To Be A Roaring Success At Art Fairs,” sign up for the recording and I’ll send it to you ASAP! This is an idea that is long overdue. I agree completely that the educated patron of fine crafts is a terrific audience for emerging artists. Bringing these groups together at a price artists can afford is tantamount to a public service. Now, what I’d love to see are trainings for exhibiting artists in how to use the venue to their best advantage. 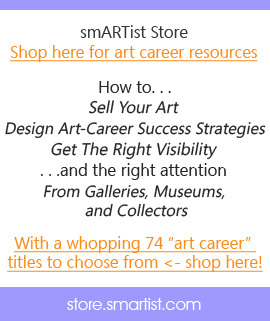 And Richard and I got a head start on this with our call the other night, “How To Be a Roaring Success at Art Fairs.” One artist said it was the best information she’d gotten from me yet! P.S. It took me this long to reply to your comment because Safari has some internal corruption going with Word Press and it wouldn’t let me reply. I wrote and re-wrote my response so many time I memorized it! Ha!